The bandana trend has been around the past couple of seasons, and I think it looks so chic and hip, so I thought I would give it a try. 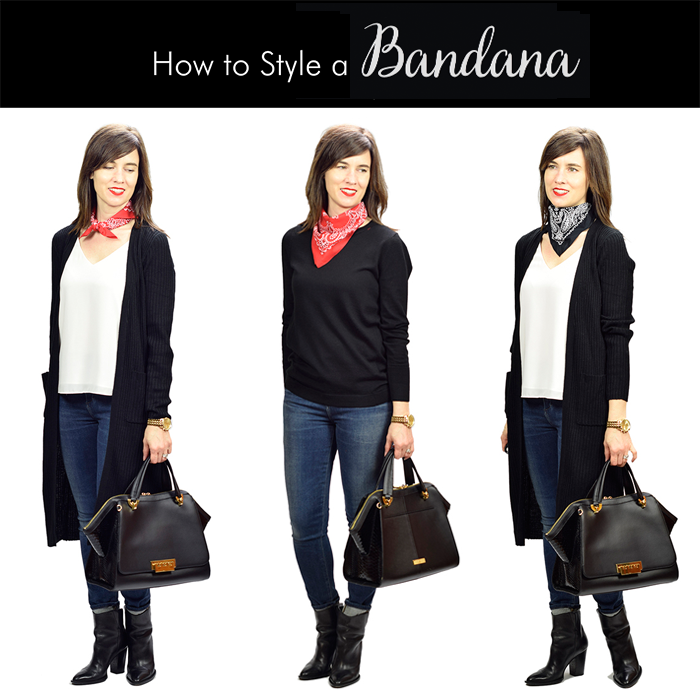 This week Katie picked the prompt - how to style a scarf (and leggings) - for Style Perspectives with The Blended Blog - so I thought this would be the perfect opportunity to give this trend a try, especially since all of my scarves are winter scarves. 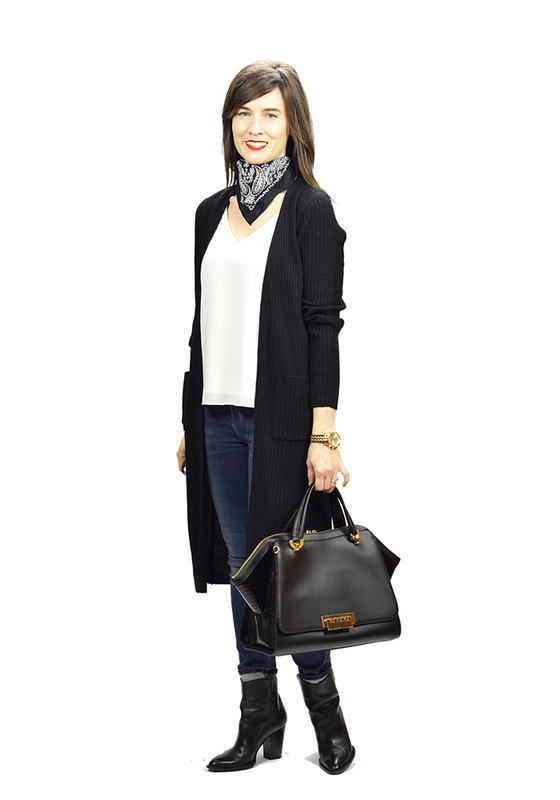 I am typically not a scarf person - and now after trying the bandana, I am not sure if I am a bandana person. I tried styling the bandana with my long cardigan, short cardigan, a crewneck sweater, and in both red and black. After all the different looks - I still did not find that "perfect" look that I really liked. I thought about a denim shirt or my white tee - maybe I would like those better. 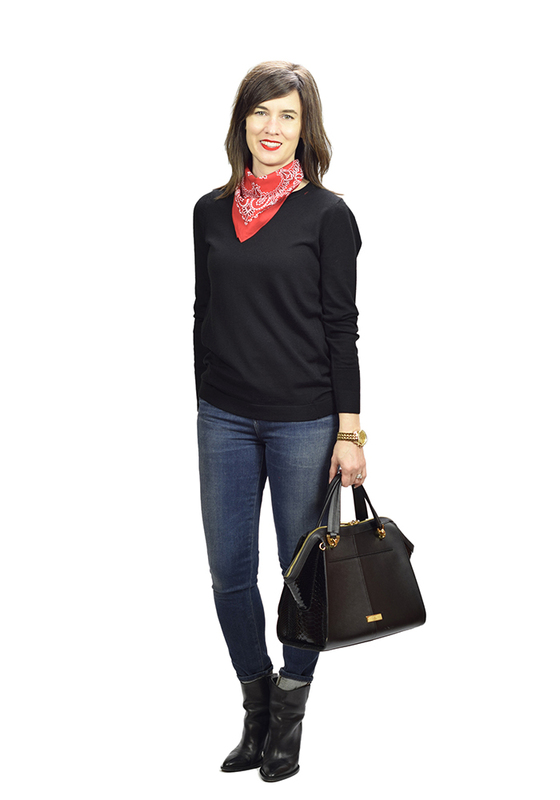 Have you tried a bandana? How did you style it? 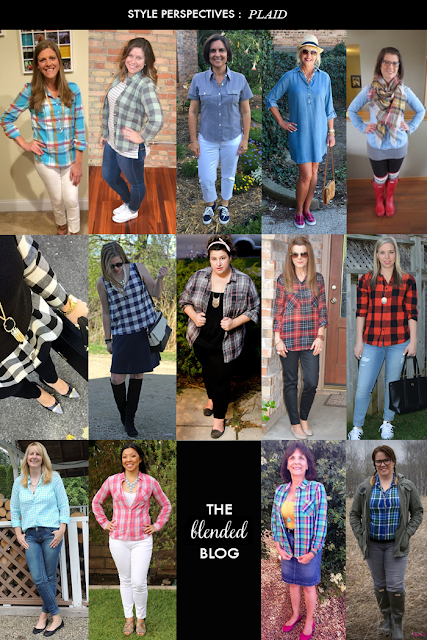 Share how you are wearing scarves this spring - and join our The Blended Blog Link Up. I agree that the bandana is such a fun and classic trend! I love how you have styled yours! Fun, I would never think to style a bandana - They always end up in my hair and I look like I'm from the 50s, or a gang member but you look so put together. I'm jealous. Haha go from 50s to gang member. Either or. 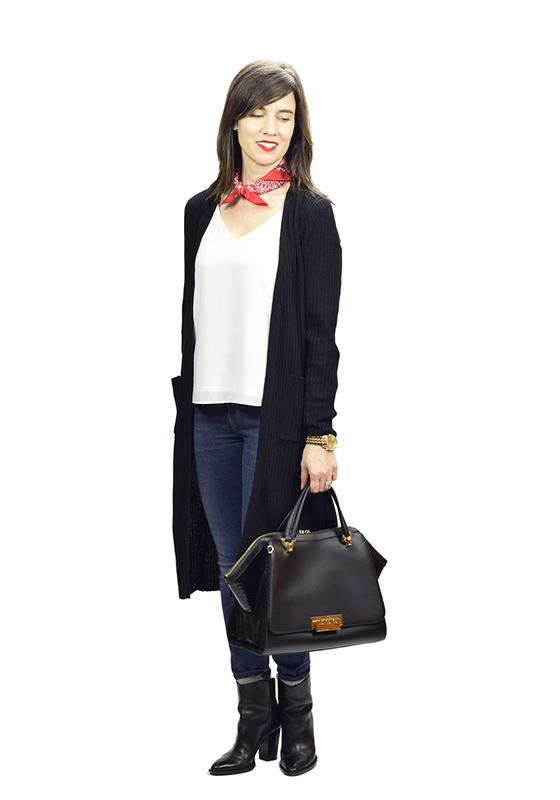 I love how you tied it in the last look and have been, like you, experimenting with my bandana scarf...every time I style it, I feel like a stewardess. This is a trend I haven't tried yet, but I really want to! Looks great on you. 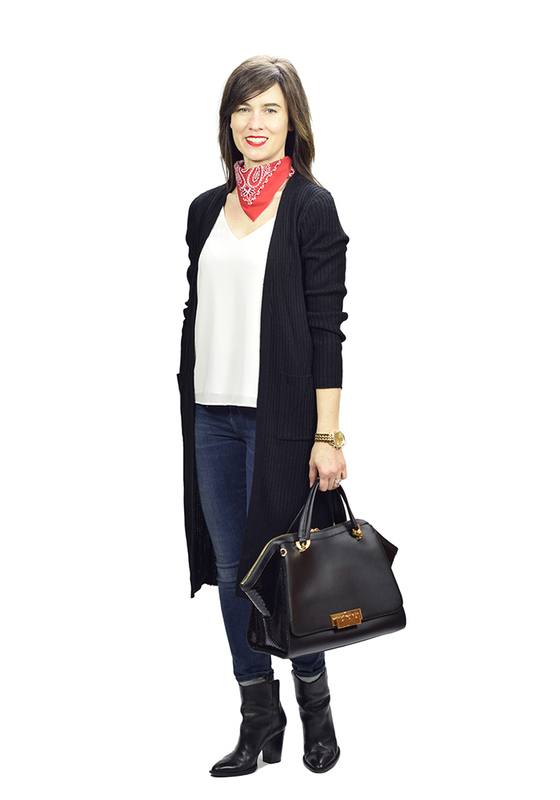 I'm with Nicole, I would have never thought to style a bandana. I used to own several and now...I have no idea where they are...hmmm...??? I like the bandana look with the tie in the front best. I'm going to try that look for the Stampede Rodeo in July where I get to dress cowboy for a whole week. Great suggestions that I never would have thought of. I've definitely noticed a lot more bandannas being worn lately! I really like how you've tied it in the first picture! I think you look great, I almost did a bandana with my outfit today. The tie front red one is my favorite. You look adorable!! I think the bandana looks great on you! I haven't tried it myself, but you've given me some ideas. I'm obsessed with neck scarves and bandanas at the moment, and I really like this look, especially the one tied in the front. Wow! I had no idea bandanas were on trend. I have always loved them and you have inspired me. I have seen bandanas around on a couple of fashionistas. I must have missed the memo. I remember wearing them in high school. Guess like all trends, they circle back around. Love how you have embraced them! Such a super cute look!! I like the bandanna!! I love the neck scarf trend and the bandana is so cute! I still haven't decided how I feel about bandanas/little square scarves. They look cute on others but I'm still not convinced. Such a fun look. 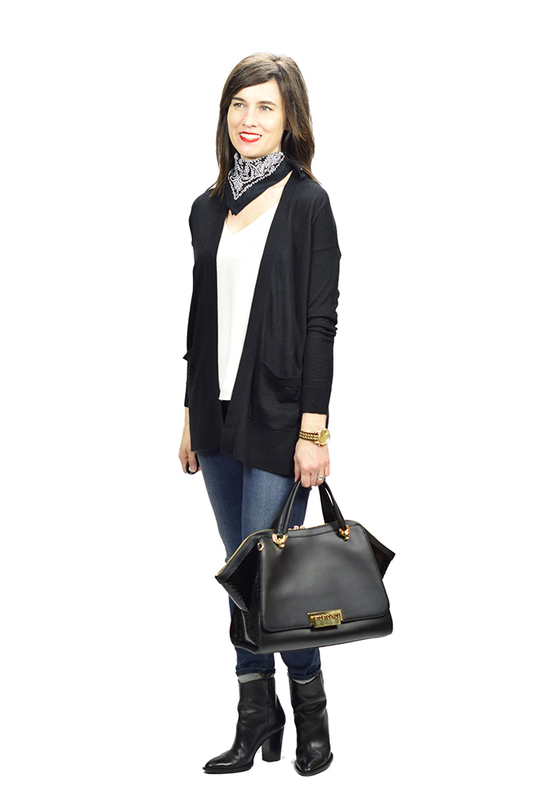 I love scarves but tend to do more oversized styles for warmth and not these fun little ones just for style.